It’s not often I get excited by the arrival of a new journal, but this one is making a terrific start and the papers in the first issue are currently on open access. In issue 1 we have: Mitchell Nathan on gesturing in mental model construction (drawing on research in embodied cognition); Wolff-Michael Roth on a post-constructivist theory of learning; Manu Kapur on productive failure; Deanna Kuhn on argumentation as core curriculum and Alexander Renkl on principles-based cognitive skills. 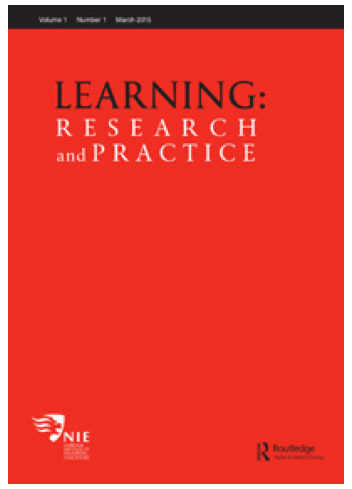 Learning: Research and Practice is an initiative of the National Institute of Education in Singapore. The journal has been under development for quite some while – great to see the first issue now.